What can I say, these are amazing!! There were only 2 pairs, I kept a pair for myself! I've never seen these anywhere else. Vintage in age but unused. 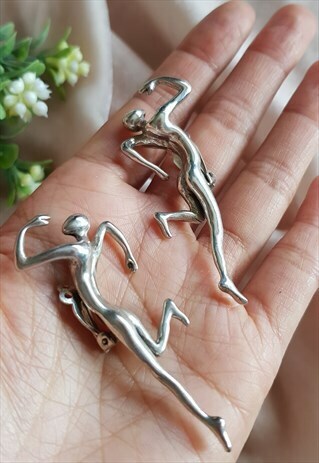 These are clip-on earrings and made out of 925 sterling silver.